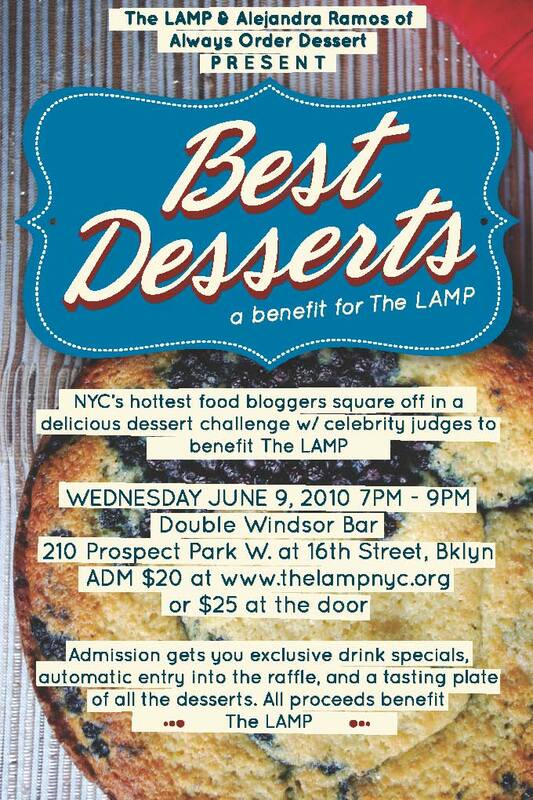 Just a reminder today about the Best Desserts charity food blogger bake-off that I'm co-hosting with The LAMP tomorrow night. The event is from 7PM to 9PM at Double Windsor bar in Brooklyn. Tickets are just $20 (in advance; $25 at the door if you procrastinate) and get you entrance to the event, entry into all the raffles, exclusive drink specials, and--wait for it!--a tasting plate of all the delicious desserts! Check out the list below so you can see for yourself what delicious treats you'll be partaking of. And for all you Throwdown/Chopped/Top Chef fans out there: this is YOUR chance to play snooty food judge! In addition to the winner selected by the panel of foodie-celeb judges, we are also opening up the vote to all the attendees who will get to taste and vote for their audience favorite. So come to support The LAMP. Come to cheer on your favorite blogger. Come to eat delicious desserts! 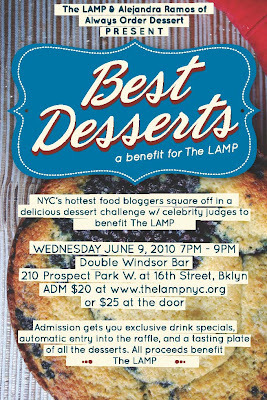 Buy your ticket here (tax deductible and full amount goes to support The LAMP's programs in underserved NY communities). 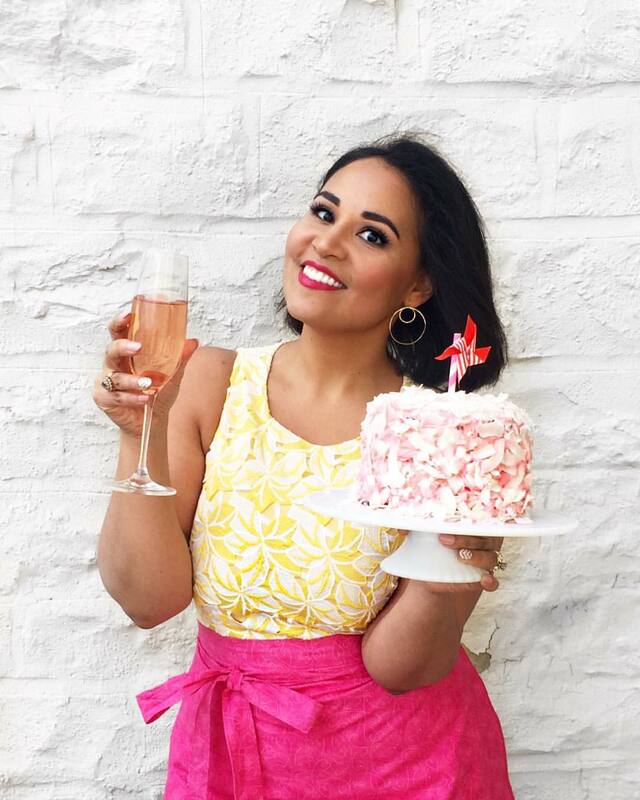 Admission gets you entrance to the event, a tasting plate of all the competing desserts (details below! ), exclusive drink specials, automatic entry into the raffles featuring prizes from Flip Video, Whisk, Bowery Kitchen, The Hip Hostess, and many more! DC Vito, the executive director of The LAMP, and I will be the MCs for the night.